In November, Father Dimitrie Vincent was injured and paralyzed after a horrible accident during a hockey game. 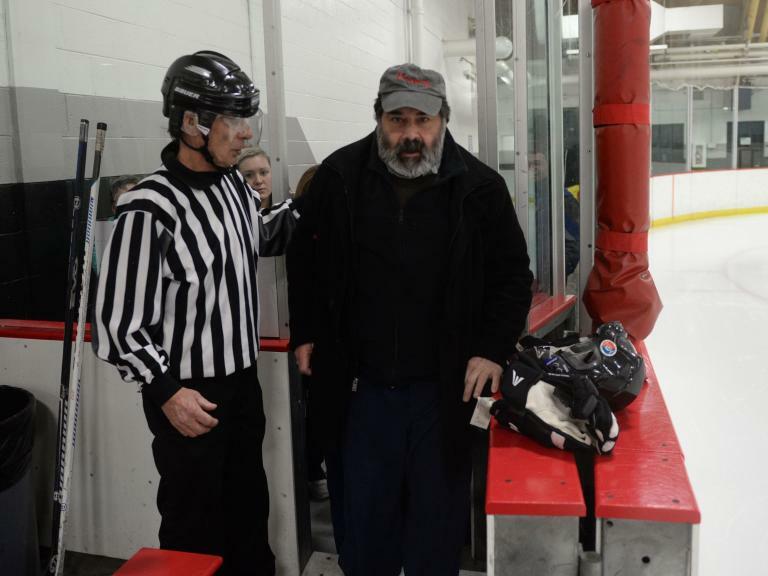 The priest lost his balance while playing in an over-60 men’s recreational hockey league game at the Redford Ice Arena. When he fell, he quickly realized he was unable to get back up. He suffered a compressed spinal cord and during the weeks and months after the accident, he had to deal with surgery, infection, getting shuttled between hospitals and going through hours of difficult physical therapy. Vincent is a 66-year-old parish priest at St. Thomas Orthodox Church in Farmington Hills. Despite the emotional and physical pain he was going through, he had a great sense of gratitude. Father Vincent says he has found motivation to keep moving forward through his faith and his priesthood calling. His love for the game began in childhood and unfortunately his last game would be the day he was injured. While disappointed he has his priorities in order. Though it was his last game, he still returned to the rink for a charity event that raised money for his medical bills. Then, Father D. had a huge surprise for the spectators, coaches and players at the rink. He had his own “miracle on ice” and stood up from his wheelchair and walked up to the bench to personally show his appreciation.